Step onto the white sand of the renowned two-mile-long Palm Beach strip, home to Aruba's glamorous high-rise hotels. Palm Beach is dotted by palm trees, hotels, casinos, water sports concessions, piers, beach bars, restaurants and shops. 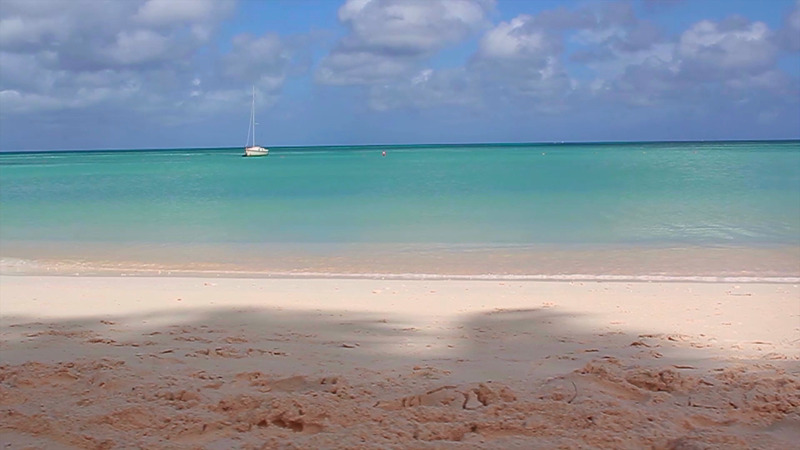 Calm waters make this beach a comfortable haven for swimmers and snorkelers.